Have you been suffering from pain in your lower leg that occurs below the knee? Then this may be a sign of shin splints also known as medial tibial stress syndrome. Shin splints will most often occur on the front outside of your shins known as anterior shin splits or the inside of your legs known as medial shin splints and will typically affect athletes especially those that are involved in running sports. Quite often new runners are at an increased risk of developing shin splints due to undertaking too much too soon. So what exactly does running too much too soon mean? 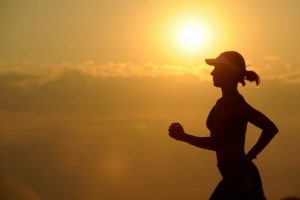 This means that some runners will not have a gradual increase in their millage, have a sudden change to their environment such as running surfaces or a complete change in activity. It has been found that the majority of people that suffer from shin splints do so on one leg, but it can also occur bilaterally. During stage 1 you may continue activity as long as condition does not worsen. At stage 2 your activity will have to be modified so that you are pain- free and to allow treatment to continue to occur. At stage 3 and 4 all activity must be ceased immediately. While having shin pain does not always mean that you have shin splints it could also be a sign of compartment syndrome which results in increased pressure causing the muscles to swell within the closed compartment or, a stress fracture of the lower leg. If you are suffering with shin pain, please book in to see one of our friendly podiatrists who will address all your concerns and formulate a tailored treatment plan for your needs.